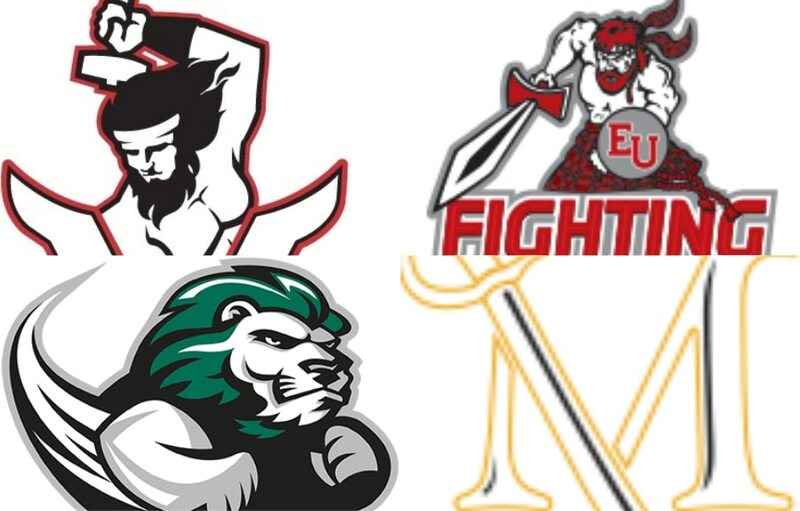 Division II has a long tradition of standing out from the rest. 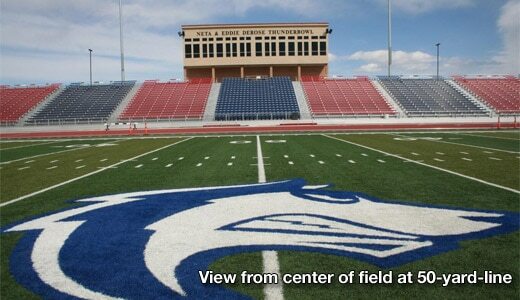 Whether it is the unique DII Championships Festival or the many scenic stadiums that rival any in the NCAA, DII sports is a division all its own. And then there are the nicknames. 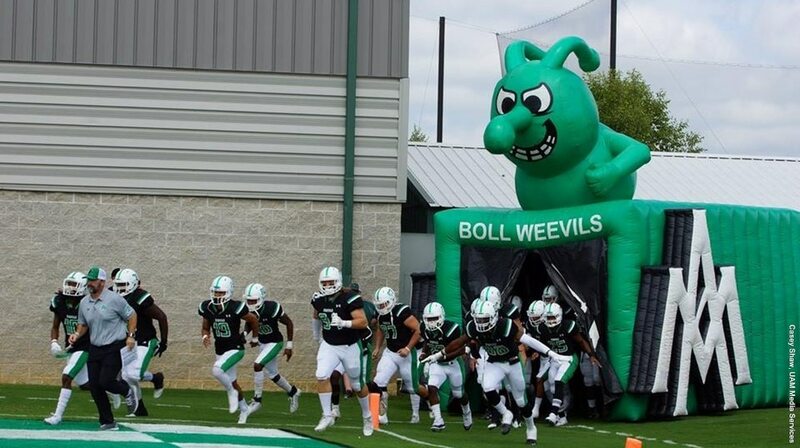 Sure, there are plenty of Bears, Tigers, and Bulldogs in Division II sports, but a Boll Weevil? Here’s a look at some of the nicknames that stand out above the rest. 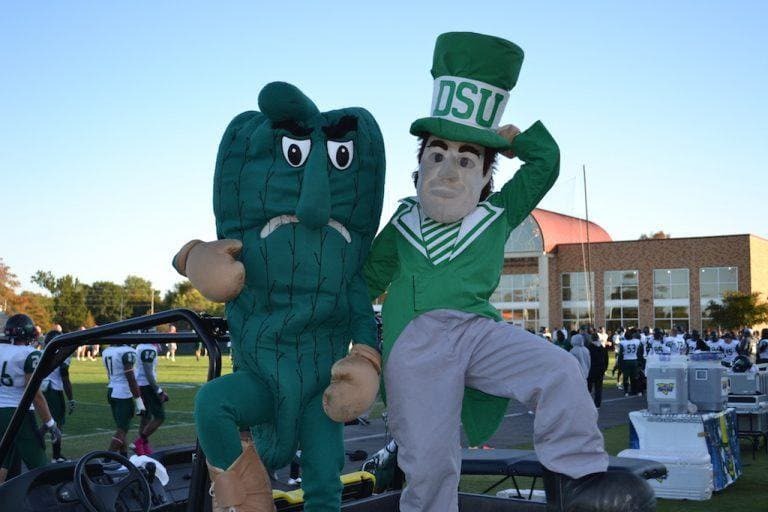 The Statesmen are the official mascot of Delta State, but many years ago, a group of devout fans came up with the nickname the Fighting Okra. Try as they might ignore it, Delta State saw its popularity… and the fact that the Okra always had his Statesman’s back. The two have become closer since the inception of the mean and green Okra. NCAA.com sat down with the baseball team a few years back to find out just what in fact a Fighting Okra really is. Weezy the Weevil looks down every football game as the Arkansas-Monticello squad takes the field. Seriously, a Boll Weevil. There isn’t any other division in any other sport you’ll find the little critter as a mascot. The men’s teams go by the Wonder Boys, the women’s teams are the Golden Suns. 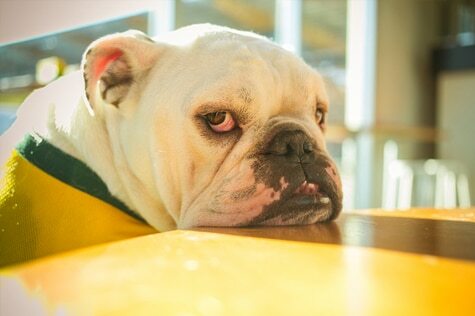 The mascot is Jerry the Bulldog. The story goes that one of the original football players scored two touchdowns and kicked two extra points, leading to the local papers calling him a Wonder Boy. Whatever the case is, Arkansas Tech did it right in the mascot department. Gus has tamed himself since becoming the leader of the Gorillas. 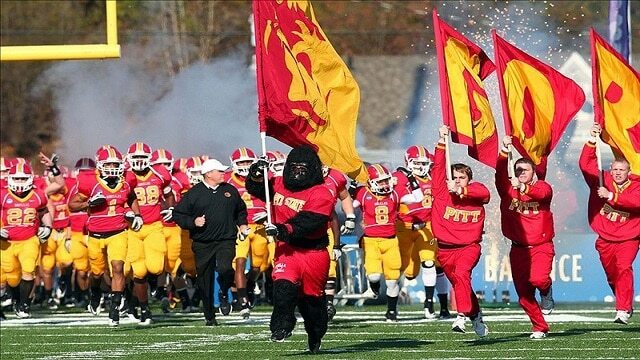 Whether it’s in Carnie Smith Stadium — lovingly referred to as The Jungle by PSU faithful — or on the basketball court, the Gorillas are the only of their kind, and have one of the coolest logos in all of sport. Meet Grubby the Miner (left), leader of the South Dakota Mines Hardrockers. 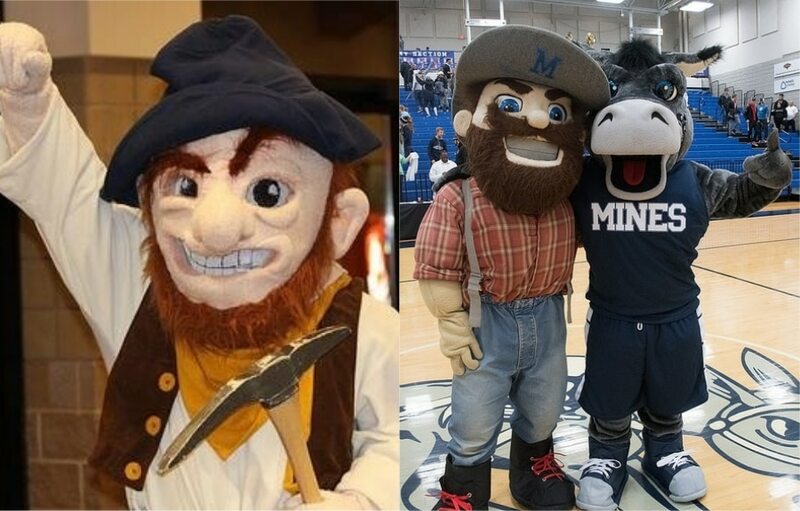 The other Mines, Colorado School of Mines, sports two mascots, Marvin the Miner and Blaster the Burro, who lead the Orediggers into battle each week. It’s always a fun battle on the football field when these two high-octane offenses meet, most recently combining for 126 points in the highest-scoring DII football game of the year. He probably looks a little familiar. The Railsplitters are coined after one of Abraham Lincoln’s nicknames from his 1860 presidential election campaign, hence the uncanny likeness. The Railsplitters have been a basketball power the past few seasons, something we’re sure the tallest president in U.S. history would be very proud of. There is actually a fun story behind this. In its early years, Mississippi College was known as the Collegians, not the most intimidating name to get visiting opponents shaking in their boots. The students were given four options to vote on — the Choctaws, Yellow Jackets, Dutchies, and Warriors — and well the rest is history. 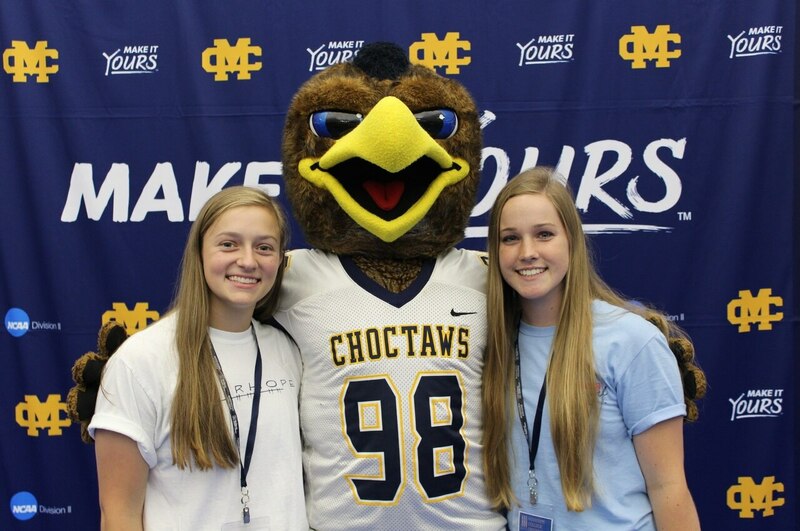 Mr. Tom A. Hawk and the rest of the Choctaws, known for, “their bravery and fair play and they had speed to burn and could run like a deer” per the school’s website, were sold on the nickname and its stuck ever since. Southern Arkansas has one of the tougher football teams in DII and the history of the Muleriders dates back to the 1912 team when the student-athletes literally rode Mules over to the coaches house after a Thanksgiving Day tie. Central Missouri always fields competitive tough teams, so it only makes sense that a stubborn, tough animal represents the school. 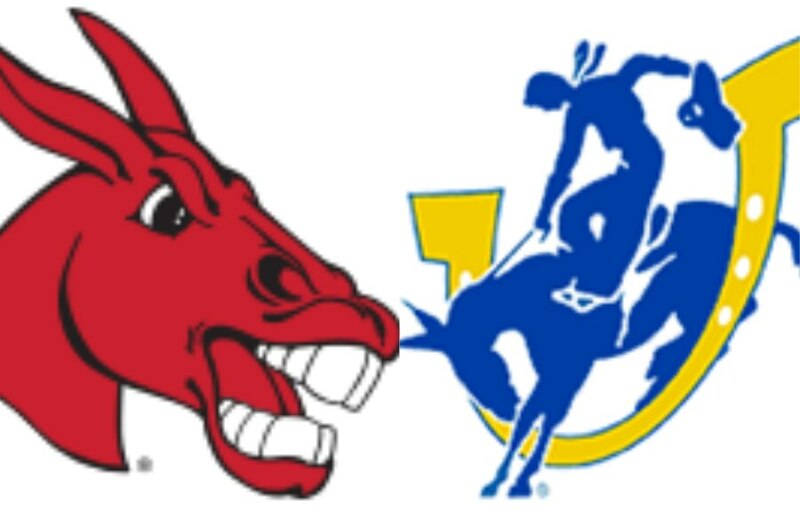 Like Arkansas Tech, UCM has two nicknames, with the men being the Mules and the women being the Jennies, the latter having quite the 2017-18 season winning both the DII women’s soccer and basketball championship. There are quite a few Eagles, but Lock Haven separates themselves as the Bald Eagles, soaring into action every weekend. The Upper Iowa Peacocks seem to strut their stuff most on the mats as one of DII’s more successful wrestling teams. 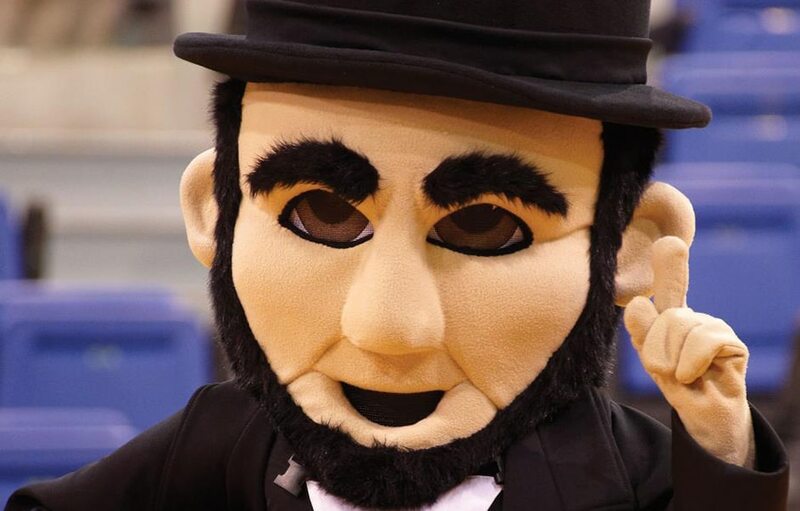 While Lincoln the Railsplitter and the Delta State Statesmen could surely find their way into this party, there are quite a few mascots on the guest list. The Washburn Ichabods mascot is often mistaken for that fellow from Sleepy Hollow, but in fact, he’s simply named after the school’s founder, Ichabod Washburn. 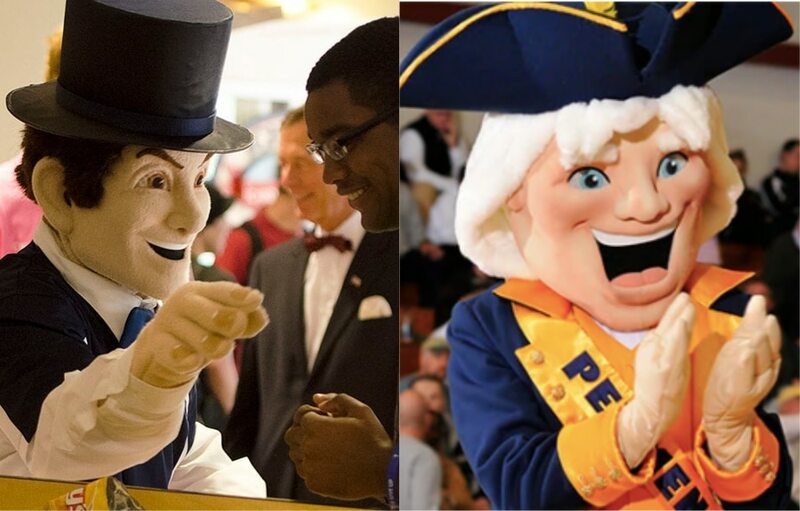 The Penmen’s mascot picked up the official name Petey in 2006 for Southern New Hampshire, so ol’ Petey was there to watch the Penmen’s second national championship in DII soccer unfold. The West Florida Argonauts have become one of the more competitive teams across all DII sports, their DII football run to the national finals in 2017 one of the most compelling stories of last season. Argie has certainly been busy the past few seasons. The Le Moyne Dolphins made some history themselves last season, as the basketball team made its first Elite Eight appearance and star pitcher Josiah Gray went in the second round of the MLB Draft. Whether you’re in Durant, Okla. for Southeastern Oklahoma football game or down the road in Bethany to watch the up and coming Southern Nazarene basketball team, be sure to come dressed for a storm. A Savage Storm and Crimson Storm respectively, that is. And take cover when taking in a Goldey-Beacom match, as Lightning is sure to strike. The Texas A&M International Dustdevils certainly are ones to watch out for, as their mascot Dusty likes to raise a little chaos in the Heartland Conference. And maybe they are an animal at the end of the day, but there is no denying that the Colorado State-Pueblo ThunderWolves, who play in the ThunderDome, have one of the more imposing mascot and home turf names in DII football.